LAN is running a pretty interesting promotion right now. You can fly from the US to Buenos Aires starting at only $849 roundtrip (all taxes and fees included). While that’s a pretty amazing price, you can also add on another city in Buenos Aires – Mendoza, Cordoba, Bariloche, Iguazu or Salta – for only U$S 13 more! This is perfect for those who want to tour the country a bit. The base fare to Buenos Aires starts at $849 from New York, $949 from Miami and $1049 from Los Angeles or San Francisco. You must purchase your ticket before April 1, 2013, for travel from April 1 to June 30, 2013, and it must include a Saturday night stay. One example fare we found was from New York to Buenos Aires on April 14, 2013. Then from Buenos Aires to Mendoza on April 19, 2013. And finally from Mendoza to New York on April 21, 2013. The total price for this trip with all taxes and fees is $954.72. That’s a pretty amazing deal. Just for fun we tried New York to Buenos Aires, Buenos Aires to Bariloche, Bariloche back to Buenos Aires and then Buenos Aires back to New York. This priced out to only $1242. Still a pretty good deal…but not as good as leaving from one of the other cities. We’d recommend that you jump on this deal quickly while there are still a lot of available dates. LAN sales have been known to sell out. Another benefit to flying LAN is that you are allowed to check two bags in coach. Every other major airline only allows one checked bag at no cost. LAN also has similar deals to Santiago, Bogota and Lima, but we’re a Buenos Aires blog, so we focused on deals to BA only. 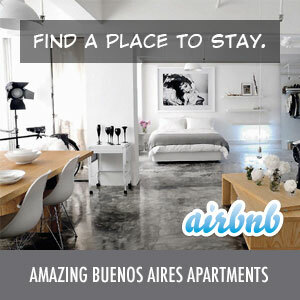 Unfortunately, these deals do not apply when going from Buenos Aires to the United States. But, if you have the chance to buy these tickets in Argentina and can get the dolar blue rate, the price can go as low as U$S 634.